THIS RECENT ARRIVAL IN TO OUR STOCK IS A SKODA SUPERB SE 2.0 TDI BUSINESS EDITION ESTATE 150 BHP 6-SPEED MANUAL, FINISHED IN BUSINESS GREY METALLIC WHICH IS COMPLIMENTED WITH A FULL BLACK LEATHER UPHOLSTERY. THERE HAS ONLY BEEN ONE REGISTERED KEEPER FROM NEW ( VWFS ) & IT COMES WITH ONE LONG LIFE SERVICE PRINT OUT BY SKODA MAIN DEALER. DUE TO THE EXTREMELY LOW CO2 EMISSIONS, THE ROAD TAX IS ONLY £20 PER YEAR !!! STANDARD SPECIFICATION INCLUDES COLOUR SATELLITE NAVIGATION, BLUETOOTH CONNECTIVITY, 17 INCH 5-SPOKE ALLOY WHEELS, FRONT & REAR PARKING SENSORS, DUAL ZONE CLIMATE CONTROL, DAB RADIO, CRUISE CONTROL, ELECTRIC ADJUSTABLE DRIVERS SEAT WITH MEMORY SETTING, PARK PILOT, AUX PORT, USB PORT, ELECTRIC WINDOWS, ELECTRIC HEATED & FOLDING MIRRORS, LEATHER 3-SPOKE MULTI-FUNCTION STEERING WHEEL, FULL SIZE STEEL SPARE WHEEL & IT HAS TWO SETS OF REMOTE KEY FOBS. THIS TOP OF THE RANGE ESTATE CAR OFFERS ALL THE LUXURY, GREAT FUEL ECONOMY & HUGE LOAD CAPACITY !!! 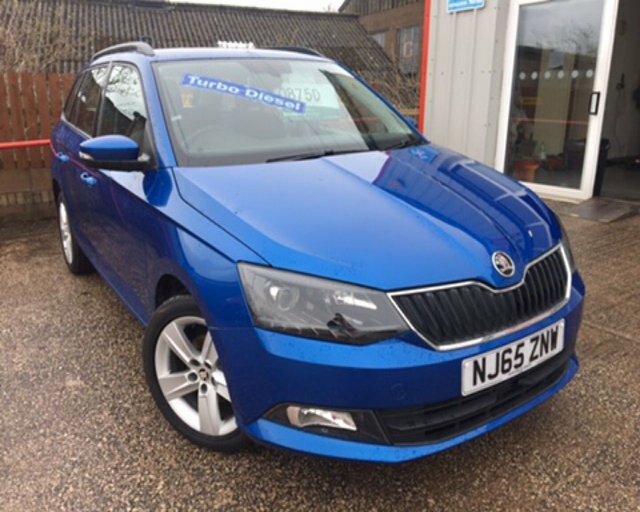 THIS LATEST ARRIVAL IN TO OUR STOCK IS A SKODA FABIA SE L 1.4 TDI ESTATE 90 BHP, FINISHED IN RACE BLUE METALLIC WHICH IS COMPLIMENTED BY A BLACK/GREY CLOTH UPHOLSTERY. THERE HAS ONLY BEEN ONE REGISTERED KEEPER FROM NEW ( VW UK LTD ) & IT COMES COMPLETE WITH A FULL SKODA MAIN DEALER SERVICE PRINT OUT, THERE ARE THREE LONG LIFE SERVICE STAMPS UP TO 10/05/2018 @ 30334 MILES. DUE TO THE EXTREMELY LOW CO2 EMISSIONS, THE ROAD TAX IS NIL COST !!! STANDARD SPECIFICATION INCLUDES BLUETOOTH CONNECTIVITY, 16 INCH ANTIA 5-SPOKE ALLOY WHEELS, CRUISE CONTROL, AIR CONDITIONING, DAB RADIO, REAR PARKING SENSORS, ELECTRIC FRONT WINDOWS, ELECTRIC HEATED MIRRORS, ROOF RAILS, CENTRE ARMREST, LEATHER 3-SPOKE MULTI-FUNCTION STEERING WHEEL & IT HAS TWO SETS OF REMOTE KEY FOBS. 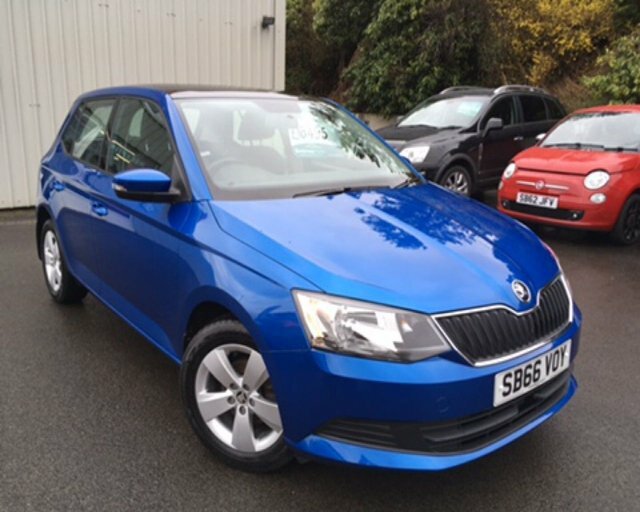 HERE WE HAVE FOR SALE A SKODA FABIA SE 1.2 TSI 5-DOOR 90 BHP, FINISHED IN RACE BLUE METALLIC WHICH IS COMPLIMENTED BY A BLACK/GREY CLOTH UPHOLSTERY. THERE HAS ONLY BEEN ONE REGISTERED KEEPER FROM NEW & IT COMES COMPLETE WITH A FULL SKODA MAIN DEALER SERVICE PRINT OUT, THERE IS ONE LONG LIFE STAMP UP TO 11/001/2018 @ 12548 MILES. DUE TO THE EXTREMELY LOW CO2 EMISSIONS, THE ROAD TAX IS ONLY £20 PER YEAR !!! STANDARD FEATURE ON THIS FULLY LOADED EXAMPLE INCLUDE COLOUR SATELLITE NAVIGATION, BLUETOOTH CONNECTIVITY, 15 INCH 5-SPOKE ALLOY WHEELS, CRUISE CONTROL, AIR CONDITIONING, DAB RADIO, ELECTRIC FRONT WINDOWS, PANORAMIC SUNROOF, ELECTRIC HEATED MIRRORS, AUX PORT, USB PORT, FULL SIZE STEEL SPARE WHEEL & IT HAS TWO SETS OF REMOTE KEY FOBS. 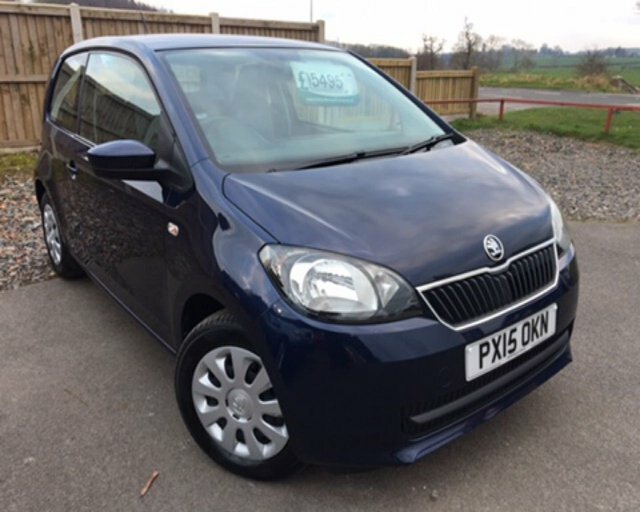 2015 15 SKODA CITIGO 1.0 SE 12V 3 DOOR FINISHED IN INK BLUE METALLIC WHICH IS COMPLIMENTED WITH BLACK CLOTH INTERIOR. THIS CAR HAS ONLY COVERED 13689 MILES FROM NEW SO IT LOOKS BRAND NEW AND DRIVES SUPERB. THE ROAD TAX IS ONLY £20 PER YEAR AND WITH A LOW INSURANCE GROUP THIS WOULD MAKE AN IDEAL FIRST CAR. STANDARD FEATURES THAT COME ON THE SE MODEL INCLUDE AIR CONDITIONING, REMOTE LOCKING, CALL US TODAY ON 01228599900 TO ARRANGE A TEST DRIVE AND VIEWING WE OFFER EXCELLENT P/X PRICES AND FINANCE PACKAGES TAILOR MADE TO SUIT EVERY BUDGET. Get a great deal on a used Skoda for sale in Penrith when you come to Intercars of Penrith Ltd. Pay us a visit today to browse the latest range of pre-owned Skoda models available, from economical hatchbacks through to executive saloons and crossovers with character. Find yourself behind the wheel of a used Skoda Citigo and find out how much fun you can have in the urban playground. Alternatively, discover whether the Skoda Yeti with its sturdy looks and practical nature is the car for you. 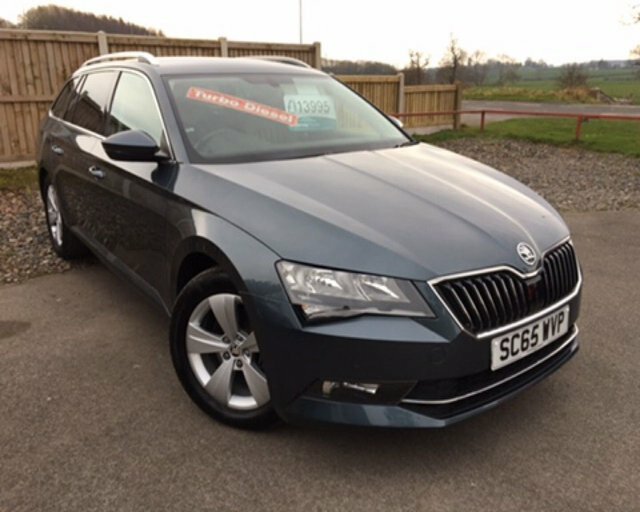 View our complete line-up of used Skoda models for sale in Penrith here on the website and feel free to contact the team to find out more.